GUELPH, ON – Wellington Brewery has announced the release of the latest installment in the Welly Re-Booted Series, which features new batches of beers previously available in the Welly One-Off Series. Quick Brown Fox is our take on a traditional British ESB (Extra Special Bitter), dry hopped with traditional English style hops. 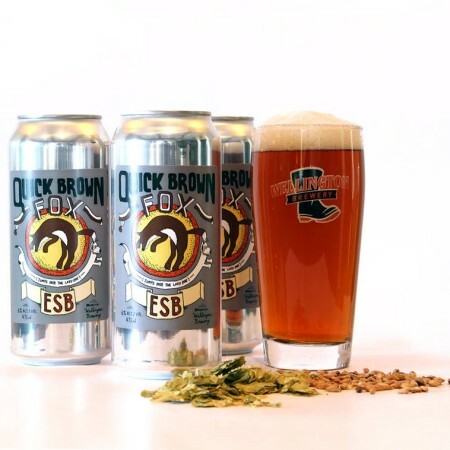 Quick Brown Fox has a biscuit and nut malt profile balanced with spicy and aromatic hops. Quick Brown Fox is available now in 473 ml cans exclusively at the Wellington retail store.